The big centre half, who has just returned from a summer tour of South America with the international team, is set to become a free agent once his contract with West Brom expires at the end of the month. McAuley is believed to be keen to link up with new Gers boss Steven Gerrard at Ibrox, and it is being reported Rangers’ director of football Mark Allen has already made contact with the 38-year-old’s representatives about the move. Gerrard is keen to address Rangers’ defensive frailties after they conceded 50 goals in 38 games last season and sees McAuley as an ideal signing. 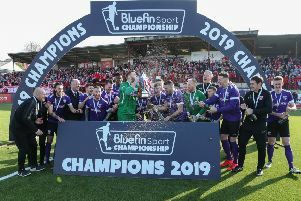 But the Larne man is also said to be attracting interest from Championship outfit Aston Villa, who are looking for a replacement for John Terry, who left the club after they missed out on promotion to the Premier League.